Pravco Industrial specializes in industrial asset recovery, maximizing return for sellers and savings for buyers. Pravco has a huge inventory of new, used and rebuilt surplus industrial equipment with more being added to our eBay Store daily. We handle everything industrial, from the very small - fuses, relays, contactors, breakers and more, to industrial painting systems, conveyor lines, material handling and process systems. We also handle all the items in between, like motors, blowers, pumps and building maintenance supplies. 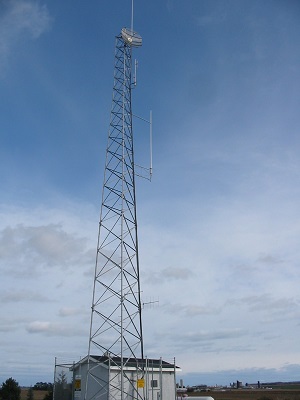 This Communication Tower is located in Manitowoc County, Wisconsin and was formerly used for county emergency dispatch. The tower is 100' tall with a 20' whip off the top. Currently, there are no antennas or transmitting/receiving structures using the tower. Power to the site is in and there is a utility building with an 18kw, PSI standby, single phase generator for back up power and a 60hz, 3600rpm Liquid Propane (LP) engine for heat. The tower is situated on 1+ acre with room for an additional or different tower. The current structure is also strong enough to add an extension if desired. More information will be added soon! Call us at 920-684-9999 for details. If you check out the buying tab, we show you the easiest ways to buy from us and get it shipped fast. You can shop by brand name from here as we stock over 100 different brands. 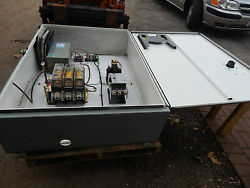 If you check out the selling tab, we give you multiple ways to sell us your surplus equipment. We buy new, used and surplus inventory or stock. 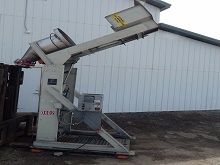 We will also consider some machines and items that are not working as good components and parts can still be recycled. If you check out the about us page, you will see many of the jobs we've worked on over the years. From installations of industrial paint systems, complete factory clean outs, equipment rebuilds, as well as the rigging of large equipment! Want a better understanding of how certain items work? We're posting it here. Looking for an equipment manual? We may have it in pdf form or can direct you as to where to find it. You will also find links to our products categories. By clicking on a specific category, it will take you to a page with information on the products as well as links into our store for the products described. 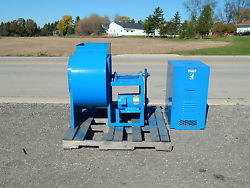 *Please note: We are constantly adding more information to this site as well as more products in our inventory, so please bare with us as we have a lot of information to put forth to help you make the right decisions for your industrial equipment. If you don't see the answers you're looking for here, give us a call at 920-684-9999 and we'll do our best to help you out.